20th Century Fox Release New Clip from 'THE COUNCELOR' Featuring Michael Fassbender & Brad Pitt! 20th Century Fox has released a new clip from Ridley Scott's The Counselor featuring Michael Fassbender & Brad Pitt. The thriller also stars Penélope Cruz, Cameron Diaz, Javier Bardem, Dean Norris, Rosie Perez, John Leguizamo, Natalie Dormer & Goran Visnjic. The R-rated October 25th release follows a lawyer, simply named The Counselor [Fassbender], who gets embroiled in the drug trade & ends up fighting for his life. Pitt plays Westray, who helps Fassbender’s lawyer get hold of a $20 million stash of cocaine. Bardem is taking the part of Reiner, a criminal who brings The Counselor into the drugs trade. 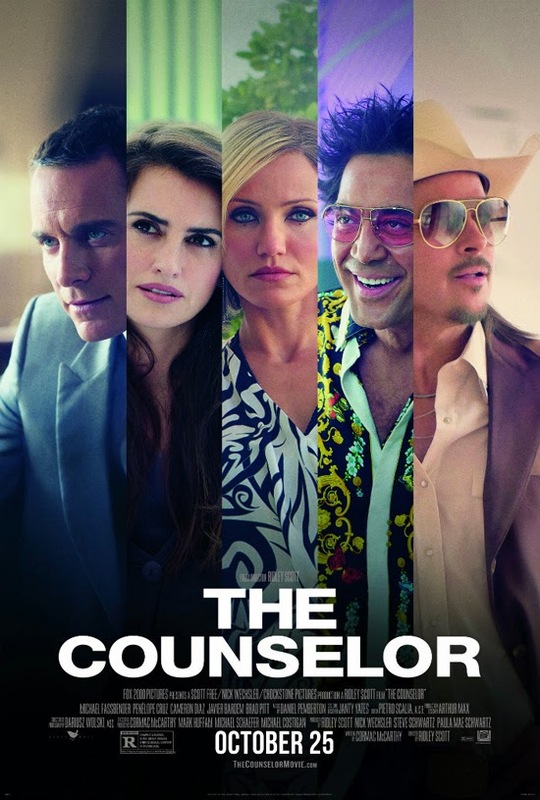 The Counselor is written by Cormac McCarthy. Hit the jump for the details. Synopsis:"Legendary filmmaker Ridley Scott and Pulitzer Prize winning author Cormac McCarthy (No Country for Old Men) have joined forces in the motion picture thriller THE COUNSELOR, starring Michael Fassbender, Penélope Cruz, Cameron Diaz, Javier Bardem, and Brad Pitt. McCarthy, making his screenwriting debut and Scott interweave the author’s characteristic wit and dark humor with a nightmarish scenario, in which a respected lawyer’s one-time dalliance with an illegal business deal spirals out of control." I'm reading: 20th Century Fox Release New Clip from 'THE COUNCELOR' Featuring Michael Fassbender & Brad Pitt!Tweet this!